Familial combined hyperlipidemia is a disorder that is passed down through families. It causes high cholesterol and high blood triglycerides. Familial combined hyperlipidemia is the most common genetic disorder that increases blood fats. It can cause early heart attacks. In the early years, there may be no symptoms. 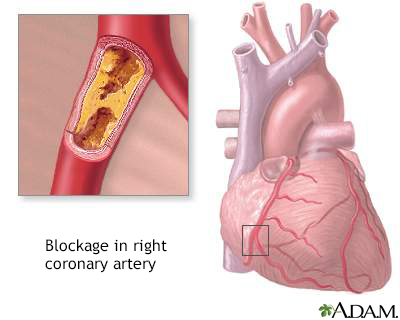 Chest pain (angina) or other signs of coronary artery disease may be present at a young age. Cramping of one or both calves when walking. Sores on the toes that do not heal. Sudden stroke-like symptoms, such as trouble speaking, drooping on one side of the face, weakness of an arm or leg, and loss of balance. People with this condition may develop high cholesterol or high triglyceride levels as teenagers. The condition may also be diagnosed when people are in their 20s and 30s. The levels remain high all during life. Those with familial combined hyperlipidemia have an increased risk of early coronary artery disease and heart attacks. They also have higher rates of obesity and are more likely to have glucose intolerance. The first step is to change what you eat. Most of the time, you will try diet changes for several months before your doctor recommends medicines. 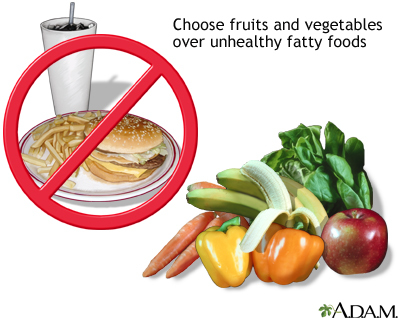 Diet changes include lowering the amount of saturated fat and refined sugar. If lifestyle changes do not change your cholesterol levels enough, or you are at very high risk for atherosclerotic heart disease, your health care provider may recommend that you take medicines. There are several types of drugs to help lower blood cholesterol levels. The drugs work in different ways to help you achieve healthy lipid levels. Some are better at lowering LDL cholesterol, some are good at lowering triglycerides, while others help raise HDL cholesterol. The most commonly used, and most effective drugs for treating high LDL cholesterol are called statins. They include lovastatin (Mevacor), pravastatin (Pravachol), simvastatin (Zocor), fluvastatin (Lescol), atorvastatin (Lipitor), rosuvastatin (Crestor), and pitivastatin (Livalo). Fibrates (such as gemfibrozil and fenofibrate). PCSK9 inhibitors, such as alirocumab (Praluent) and evolocumab (Repatha) These represent a newer class of drugs to treat high cholesterol. Without treatment, heart attack or stroke may cause early death. Even with medicine, some people may continue to have high lipid levels that increase their risk for heart attack. Call your provider if you have a personal or family history of high cholesterol levels. A diet that is low in cholesterol and saturated fat may help to control LDL levels in people at high risk. If someone in your family has this condition, you may want to consider genetic screening for yourself or your children. Sometimes, younger children may have mild hyperlipidemia. It is important to control other risk factors for early heart attacks, such as smoking.